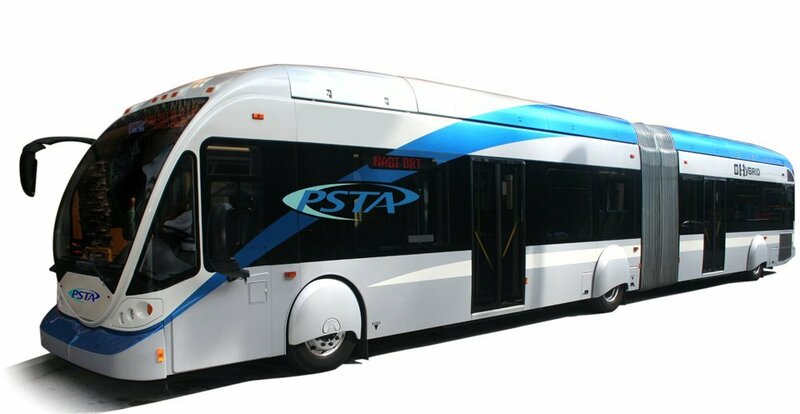 Bus rapid transit has emerged as Tampa Bay's latest transportation solution. Many, though, may still be asking: "What exactly is BRT?" Unlike rail — the regional transit option that pro- and anti-rail forces have long fought over — BRT looks different in almost every city. Each system is built to meet the individual needs of its city, region and ridership. Sometimes the routes are built in their own, special busways (dedicated lanes or tracks). Other times they're additional lanes added to existing roads. Some have fancy stations where passengers board at ground level. Others have minimal stops, few and far between to speed up travel time. Here in Tampa Bay, planners have proposed building what may be the longest BRT system in the nation: A 41-mile line connecting Pinellas to Hillsborough to Pasco counties. Tampa Bay's transit future: Light rail's out. Rapid buses are in. For the most part, the buses would use the shoulder of Interstate 275 as a dedicated lane. In some sections, they'd mix with regular traffic or use the express toll lanes the state plans to build in the coming years. For the 3.5 miles between West Shore and downtown Tampa, buses would likely have their own lane in the expanded median between the interstate. TAMPA BAY TIMES REPORT: Tampa Bay has one of the worst public transit systems in America. Here's why. While each system is different, they're all very different from Tampa Bay's still nascent proposal: 1. They're much shorter, just 9 miles compared to 41 miles. 2. They run far more frequently. 3. They exist alongside other premium transit options, such as light rail and commuter rail. But in the bay area, BRT would be the premium transit option. There are dozens more examples of BRT out there. But these three glimpses at existing systems could help bay area residents understand what this transportation option could look like if it's ever built here. 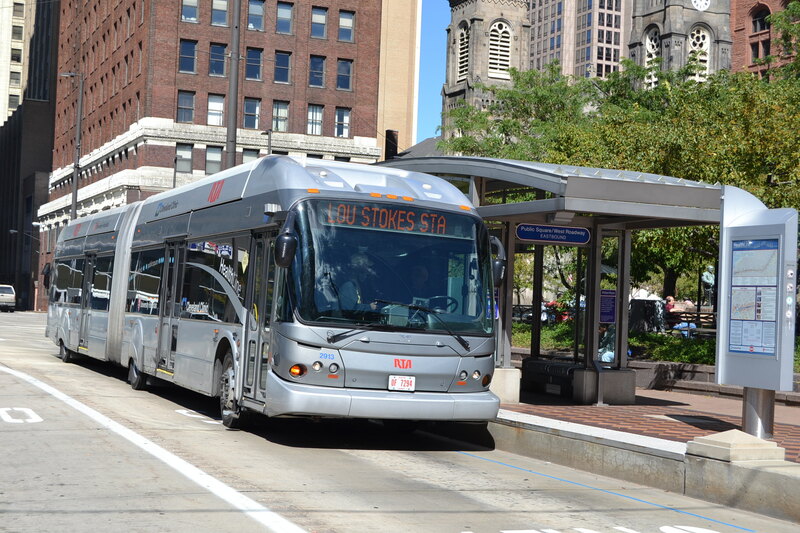 Cleveland is home to one of the most successful BRT systems in the nation. But the first line — the city now has three — opened in 2008 to mixed reaction. 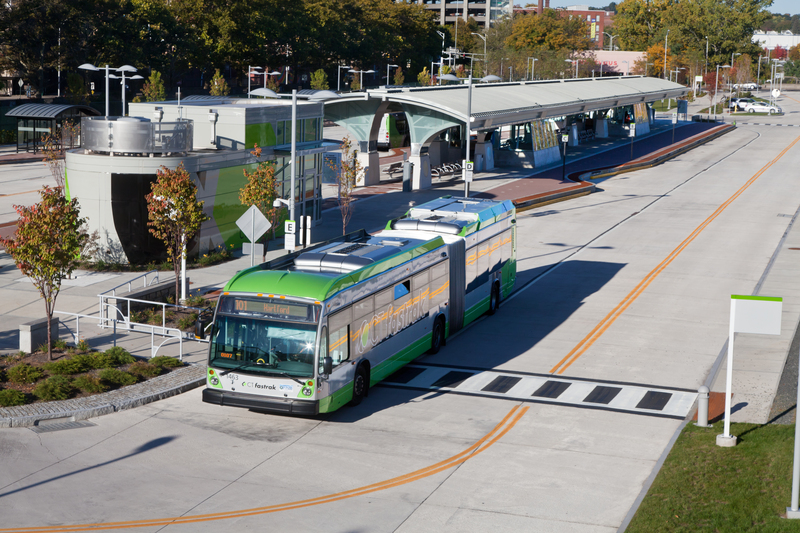 The transit agency took over two center lanes on a main drag and converted them to BRT lines. The agency also reduced the number of stops along that line from 108 to 38. The result was a 40-percent reduction in travel times. The public responded favorably. In a current climate where bus ridership is dropping nationwide, Cleveland's BRT lines continues to increase ridership. In addition to having fewer stops and their own lane, the BRT vehicles also take advantage traffic lights that sense the bus coming and switch to green to let it pass through intersections. 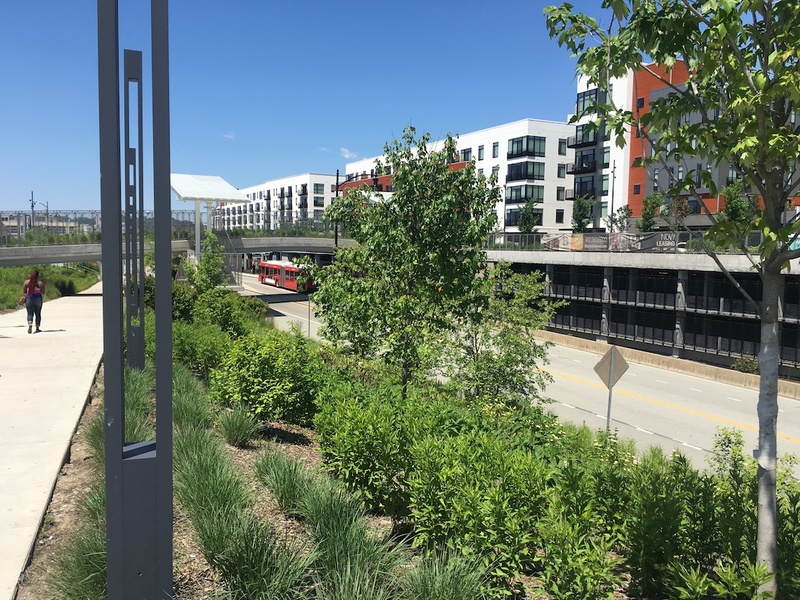 Transit-oriented development has followed, generating $6.5 billion of development along the corridor, according to Greater Cleveland Regional Transit Authority CEO Joseph Calabrese. The bus stations are in the road medians, have real-time arrival displays and ticket vending machines. "We built this exactly like we'd build a rail system, but without the tracks," Calabrese said. But it took several studies and prolonged public debate before the BRT plan was adopted decades ago. "There were a few people that said it should be rail or nothing," Calabrese said. "If that were the case, it would have been nothing, because we simply couldn't afford it." The Hartford BRT line is still in its infancy, but early ridership numbers are "way higher" than projected, transit administrator Dennis Solensky said. The 9.4-mile route was built in existing right-of-way along a railroad line. No other vehicles run in that space. The transit agency said it continues to improve the service, recently adding heaters to stations and comping passes for university students. A lot of thought and energy went into developing the 10 new stations, Solenksy said, such as making sure they had adequate lighting, seating and landscaping. Seven also have free parking on site. But it took considerable time and conversations to get the project off the ground. "I wouldn't be honest with you if I didn't admit it had its share of detractors," Solensky said. "But it's been successful by any terms." The agency took the approach of replacing traditional routes with one that has "tremendous frequencies and reliability." In just a few years, annual ridership is now up to about 3.4 million. 2017 ridership: 13,000 rides on an average weekday and 9,000 on an average weekend. Thirteen other bus routes operate party-way on the East Busway, accommodating an additional 10,000 rides on an average weekday. Pittsburgh is home to one of the oldest BRT line in the nation, opening in 1983. The city actually has two busways, with the East Busway being the oldest. Both run along railroad tracks, generally hidden from view and the communities they pass through. Because BRT was built in a time when jobs were in decline and people were moving away from the city, development project manager Breen Masciotra said the agency didn't see a lot of development around the stations. That changed a few years ago with the redevelopment of the East Liberty Station. Through a lot of elbow grease, that project now has almost 20 different funding sources, Masciotra said. The redevelopment has helped connect the station and route with the community, and the agency said that has raised ridership. While the line might not be as connected to the community as in other cities, officials said its strength lies in its frequency. Buses run every 3 minutes in peak hours, making it a reliable and speedy option. Because the buses are essentially on their own highways, so they're able to go as fast as 75 mph between stations. "We can barely fit people on the buses," Masciotra said. "It's very, very well used." Local planners have set aside their rail ambitions — for now — and are pursuing a 41-mile rapid bus route as a potential answer to Tampa Bay's transportation woes. Political and business leaders alike hope the three-county BRT line will provide a quicker, more reliable alternative to being trapped in interstate traffic. The buses will operate along the shoulder of Interstate 275 for much of the route, including between downtown Tampa and the University of South Florida and on the Pinellas side. For other sections, the buses will run in the express toll lanes the state has proposed to build on I-275, including on the Howard Frankland Bridge. The plan currently calls for 21 stations, most at street level. Two between West Shore and downtown Tampa will likely be elevated. The Florida Department of Transportation is looking into building five large transit hubs along the line that would key into existing bus networks, trolleys, street car or circulators. Planners are proposing buses run every 15 minutes, which is a far cry from Hartford's 7-minute frequency, nevermind Pittsburgh's 3 minutes. That and other details could change as the project is vetted by the public over the next six months.